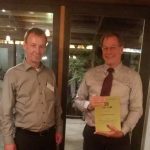 Within the CAPE-OPEN 2018 Annual Meeting, the 2018 Annual General Meeting of CO-LaN was organized on October 10, 2018 in Ludwigshafen, Germany. Four Full Members were present or represented: Air Liquide (represented by Shell Global Solutions), BASF, Linde Engineering, Shell. 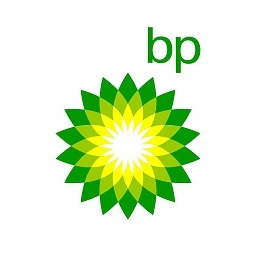 BP, represented by Mick LEE, attended remotely via a phone line. Nine Associate Members were present: AmsterCHEM, Bryan Research & Engineering LLC, Céondo GmbH, ChemSep, Hafnium Labs, Halias Technologies, KBC Advanced Technologies, OGT and Peter NELLEN. Richard BAUR, representing Shell Global Solutions and acting President, presented the status report (PDF, 430 Kbytes) over the period from October 2017 till end of September 2018. The report was approved by the Full Members present or represented. He finally detailed how CO-LaN members can help CO-LaN do better and expand CAPE-OPEN use. Then Richard BAUR gave, on behalf of Philippe ARPENTINIER, representative of Air Liquide and treasurer of CO-LaN, the financial report (PDF, 194 Kbytes) for the period January till December 2017. Fiscal year 2017 ends up with a positive result of 6666 euros. That reflects the delay in accepting contract results on the Consultancy Service Scheme and COBIA Phase II and subsequent billing for these. Otherwise the result would have been, as budgeted, with a significant loss. The financial report was approved by the Full Members present or represented. The budget for 2019 was approved and the Full Member membership fee for 2019 was kept at the same amount as in previous years and set at 10,000 euros. The fiscal year 2018 is expected to end with a significant loss and 2019 will see the same pattern while CO-LaN may still count on its reserves to face the expenses necessary to its strategy. Next, within the Ordinary General Meeting, election of the new Management Board was conducted. 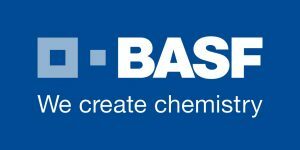 Air Liquide, BASF, BP, Dow, Linde Engineering and Shell Global Solutions were (re)elected to the Management Board.